Hetairos were pushed hard all the way by George David’s 90ft maxi, Rambler. It was not until half way through the race that Hetairos managed to pass Rambler. The all star American team put in a fantastic performance but could not match the pace of an opponent over twice their size. 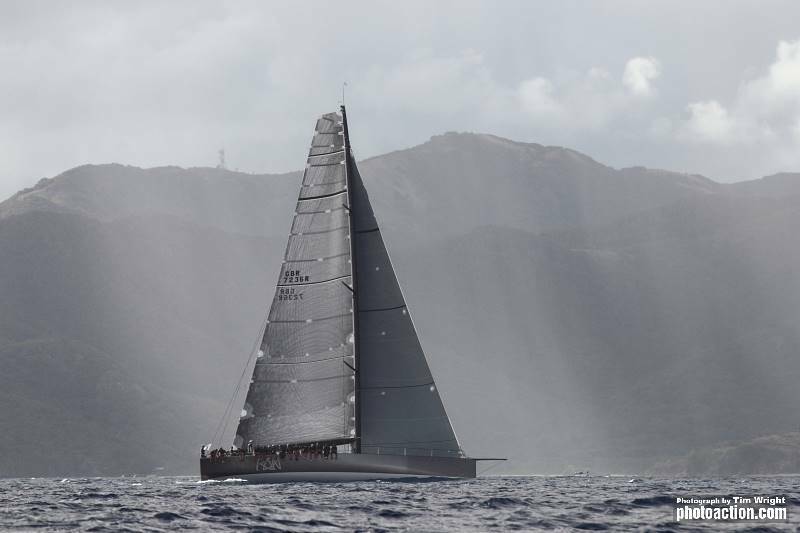 Niklas Zennstrom’s JV72, Rán was the next yacht home, less than an hour behind Rambler to claim the overall lead after time correction in the 2012 RORC Caribbean 600. Rán know that there can be no celebration yet, but Rán has set the bar very high indeed. 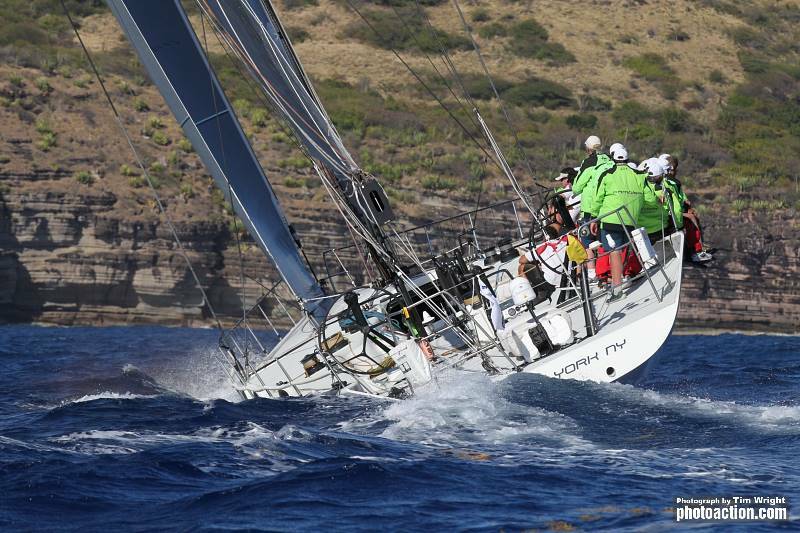 As the remaining yachts battle it out on the course, Team Rán must wait until this fascinating race plays out. 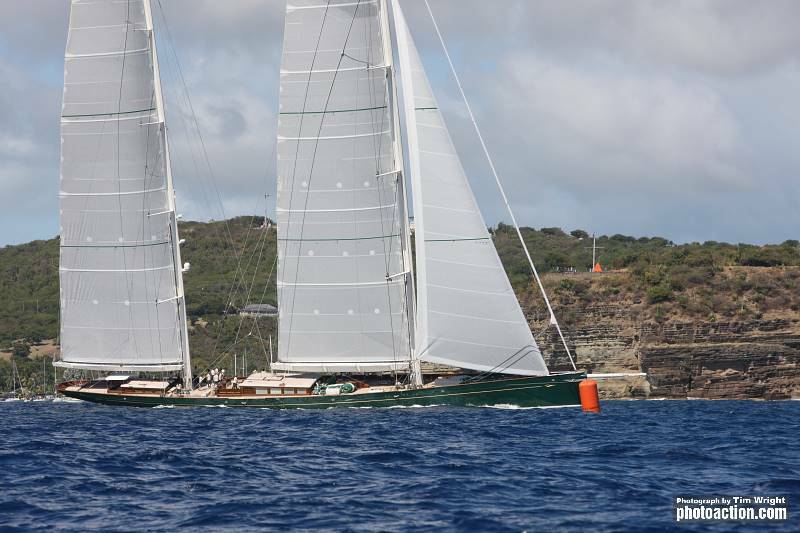 Several yachts are very much in contention to beat Rán’s corrected time. Just after sunset, Olivier Vigoureux’s one-off trimaran Paradox came to rest after over two days of blasting around the Caribbean. 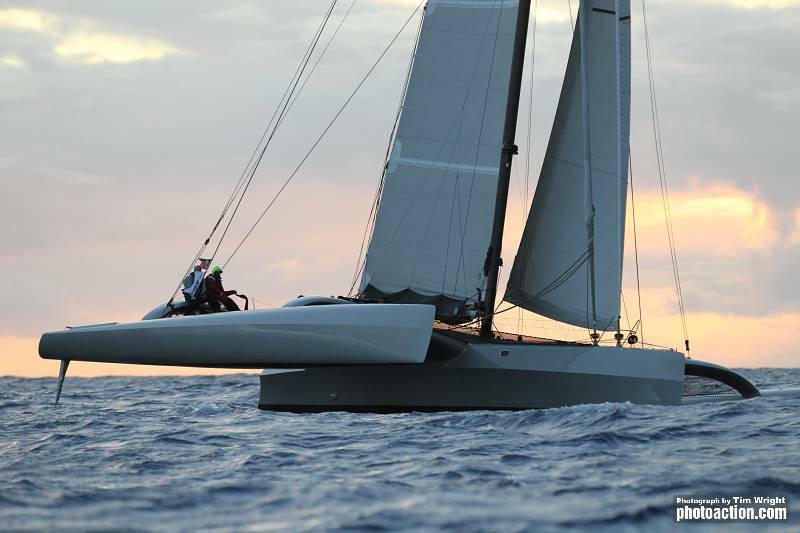 The weather-gods did not smile on the team and Region Guadeloupe’s multihull record was never really in doubt, but the crew of Paradox should be delighted to claim the winner’s trophy for the Multihull Class this year. Hopefully their exploits will encourage a bigger fleet of multihulls next year, spearing through the Caribbean at break neck speed is surely every multihull sailor’s dream.